The Killzone Crossbow is a rear deploying 2-blade mechanical broadhead designed for deep penetration and devastating wound channels. The unique spring clip design of this broadhead will not open in flight, but eliminates the need for o-rings or rubber bands to hold the blade closed. The 2" wound channel creates devastating entry and exit wounds for quicker recoveries of your hard earned trophies. 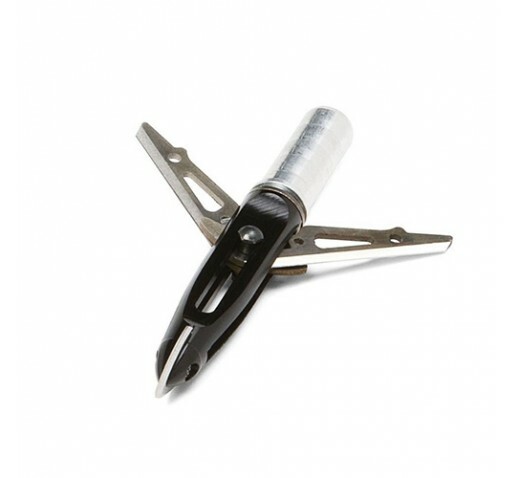 Utilizing NAP's unique spring clip design, these broadheads are rated for use in crossbows up to 400 fps.